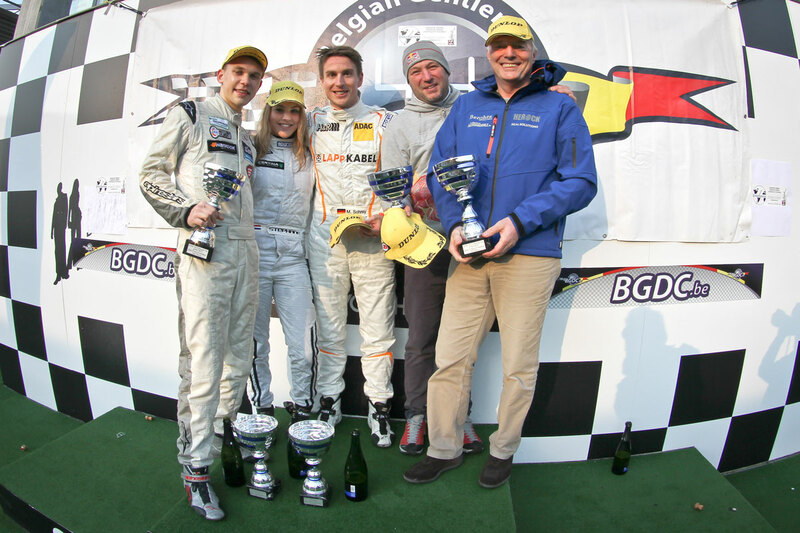 Stéphane, together with Maciej Drezser finish 2nd in the three hours of Throphée des Fagnes as start of their season in the BMW M235i Cup Belgium. The BMW M235i Cup Belgium is a new series, supported by BMW Motorsport. Stéphane was approached by Maciej Drezser to enter with him in this championship. The first race, as said, took place at Spa this weekend and was immediately a succes for the team. Stéphane and Maciej finished 2nd in their class, and 5th overall out of 80 cars. The deal with Drezser Motorsport came late which resulted in only one test day before the start of the season. Now they can plan and test, so that they will be more prepared for the next race at Zolder. The championship for the BMW M235i Cup wil consist 7 races, including the prestigious 24 Hours of Zolder at the end of August. The next race will take place at Zolder, the 9th and 10th of May.